Most hilarious article I have read in ages. See how stylish Camilla is in this article..
Can someone please get this woman a decent bra !! Camilla dresses up ... sort of. Camilla needs a decent bra. a decent haircut ..a dress that does not show her lack of a waist.. and she needs her roots re touched. it makes her upper chest and shoulders look as big as a pro american footballer's. Kate's is not much better. word has it ... that HM and Kate were to go, but Charles got wind and made sure Camz got an invite too. I don't like Camilla much but in this case I would say that Charles' anger was ok. But I agree that coat was awful, it highlights the worst part of Cams' body which are her breasts and shoulders. Ghastly woman...she needs her roots done...and why does she grimace like that ? 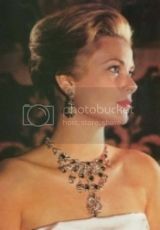 Tatiana do you know any inside gossip about why Camilla ended up using the Delhi Durbar? It's more a queenly tiara and she hasn't wore since. I had forgotten this one .. how could I ? thank you Tatiana, but I'm still a bit confused, I thought that Charles was lent a lot of jewellery from QEM for Camilla so the Queen should have known that Camilla could use it, why get angry later? I would have loved to see QEII in that tiara but now it will not come true. I never mentioned anger.. I just said it wasnt offered again Alex. Here is a lovely shot of this "Lady"
I still don't get it, what would they think she was going to do with it anyway? Or was it for Charles so he could play dressing up as Queen Mary? to say a good thing, that day the outfit was very nice, and I love that choker. I agree. Can't make a silk purse out of a sow's ear as the saying goes. Charles can dress her up all he wants, he has to try to justify all the sordid behavior of the two of them--he outed her and got out the engagement ring when his finances were about to be investigated. He also is seething that his "dahling wife" is still not universally popular (to put it mildly) despite all the big bucks he spent on spin doctors and dressers for her. He's really Pathetic IMO. I think it suits him that his popular son has disappeared into the military and is rarely seen. 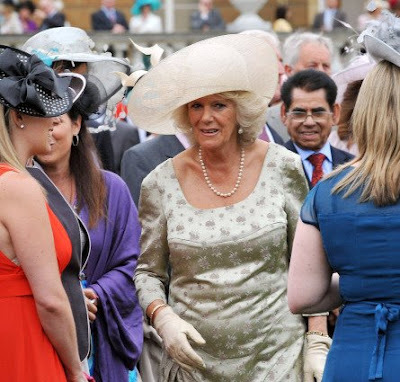 But he has to have Camilla around Kate to try to get some of the "reflected glory" plus push Camilla down people's throats as Kate's Mother in Law and Mentor (the woman is step mother in law and no mentor to anyone probably not even one of her horses). A BRA.. A BRA .. My Kingdom for a Bra ! Who hems her skirts ? Fixed the double post but I can't see the link for some reason? ^It's not just you, Akasha. I can't get to the link, either.